WASHINGTON (AP) — Rachel Dolezal, born to white parents, self-identifies as black — a decision that illustrates how fluid identity can be in a diversifying America, as the rigid racial structures that have defined most of this country’s history seem, for some, to be softening. 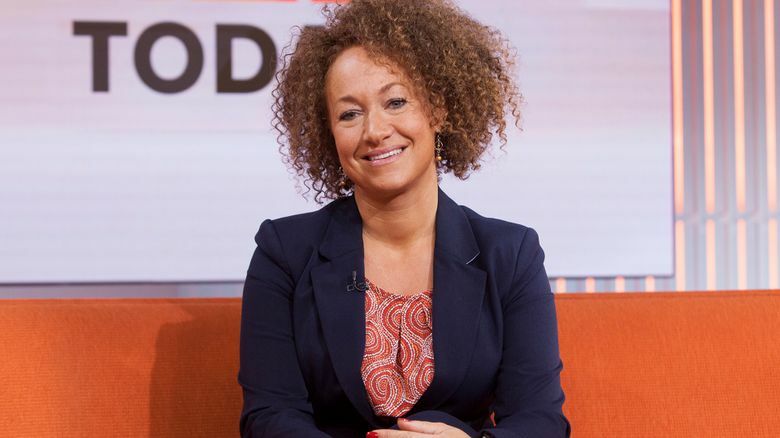 Her parents identified her as white with a trace of Native American heritage, and her mother, Ruthanne Dolezal, has said Rachel began to “disguise herself” as black after her parents adopted four black children more than a decade ago. Dolezal isn’t the first person to make this type of change. Millions of Americans changed racial or ethnic identities between the 2000 and 2010 censuses, even though their choices may have contradicted what their skin color appeared to be, or who their parents said they are. “It forces us to really question whether or not this biological basis for identity is a smart path to continue down in the future,” said Camille Gear Rich, a University of Southern California law and sociology professor who writes about elective race choices. In the United States, there is an expectation that people would have a biological connection to a racial or an ethnic identity they are claiming, said Nikki Khanna, a University of Vermont sociology professor. She co-authored a 2010 study that found increasing numbers of biracial adults were choosing to self-identify as multiracial or black instead of white. In the past, race was determined mostly by what other people thought a person was. For example, the Census Bureau’s enumerators would determine on their own what a person’s race was, and classify them as such. By the 1960s and 1970s, census officials were allowing people to self-identify. Currently, the Census Bureau allows people to choose a racial category, or even multiple categories, to which they think they belong. The census identifies races as white; black or African-American; American Indian or Alaska Native; Asian; Native Hawaiian or Other Pacific Islander; and “some other race” for those claiming more than one race. There is also a Hispanic ethnic category. People have been using that freedom since the early 2000s to move back and forth. They switched between races, moved from multiple races to a single race or back, or decided to add or drop Hispanic ethnicity from their identifiers on census forms. She and her parents have disagreed about her backstory. Dolezal says she started identifying as black around age 5, when she drew self-portraits with a brown crayon. Her mother told Fox News on Tuesday that’s not true. Dolezal has gotten support from some in the black community, who say she should be allowed to self-identify as she pleases. However, other African-Americans say she is “passing” — a term mainly used to describe blacks who looked white enough to deny their African ancestry — and should not claim a racial identity that she cannot prove. She isn’t the only person who has faced that accusation. An opponent of Houston Community College trustee Dave Wilson complained that campaign mailings Wilson sent to voters in the predominantly black district implied Wilson, who is white, was black. U.S. Sen. Elizabeth Warren of Massachusetts faced questions about her Native American ancestry during her last election after being listed as such in several law school directories. That’s why Rich said she isn’t comfortable with people announcing themselves as a member of a community. “There might be some spaces in which Rachel gets to be a black person, but I want to be very careful about any context in which she is taking away resources from people who have come from a more subordinated experience,” she said. Jesse J. Holland covers race, ethnicity and demographics for The Associated Press. Contact him on Twitter at http://www.twitter.com/jessejholland.